The U.S. National Parks System (“NPS”) is one of our country’s great treasures and comprises 418 different sites with eighty-five million acres of protected land. The NPS was created in 1916 by President Woodrow Wilson and while the NPS contains many actual parks, the system also contains and oversees national monuments, historical sites, battlefield and military parks, nature preserves, sea shores, and lakeshores. The NPS is becoming increasingly popular with over 330 million recreational visits in 2017 and after visiting one of the many sites it is easy to see why the NPS attracts so many visitors. Whether one seeks an opportunity to learn more about nature, history, or simply some fresh air, the NPS offers some of the most beautiful, pristine, and historical sites in the world. For many the main draw in visiting one of the many national parks is the opportunity to experience nature in its most pristine form. In an often dirty and trash filled world, the chance to escape to something cleaner and simpler is irresistible for many. While it may seem impossible to keep any space clean in modern times, the NPS is able to keep all of its sites nearly pristine and free of loose trash through a combination of clear communication, voluntary support, and a little good-old-fashion government muscle. Namely by criminalizing the disposal of trash in anything other than a trash can. Under 18 U.S.C. §1865(a), any person that violates any NPS regulation can be subject to up to six-months in jail, fines, or both. Additionally, under 36 C.F.R. §2.14(a)(1), disposing of trash in anything other than a trash can is prohibited on NPS sites. Thus, if one litters at a NPS site that person could face six months in jail and/or additional fines. In other words, don’t litter at a national park! The moral of this story is two-fold. First, it does not pay to litter at a NPS site. While no one likes to carry around an empty Doritos bag, that slight inconvenience is nothing compared to six months in jail. Second, aside from any legal obligation all Americans should strive protect and maintain our natural and historical sites. No matter one’s age, race, or political affiliation, everyone can enjoy, experience, and take pride in our national parks system. So, everyone should strive to keep the NPS as pristine and undegraded by human activity as possible so that generations to come will be able to experience these places in all their glory! 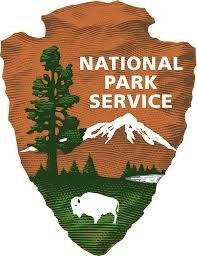 National Park Service Overview, National Parks Service, https://www.nps.gov/aboutus/news/upload/NPS-Overview.pdf. National Park System Sees More Than 330 Million Visitors, National Parks Service (February 28, 2018), https://www.nps.gov/orgs/1207/02-28-2018-visitation-certified.htm. Previous You Want To Name Your Baby What?